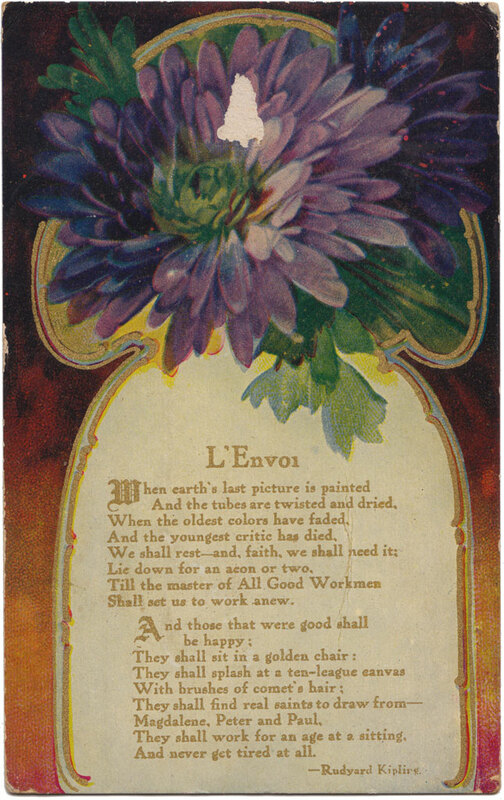 ‘Til the Master of All Good Workmen shall set us to work anew! How are all your folks? All O.K. here. Where did you go the 4th? I was home we had a celebration here. I suppose the raspberries will soon be ripe. Will there be very many this year? Best regards to all the folks. Write your cousin Ella. 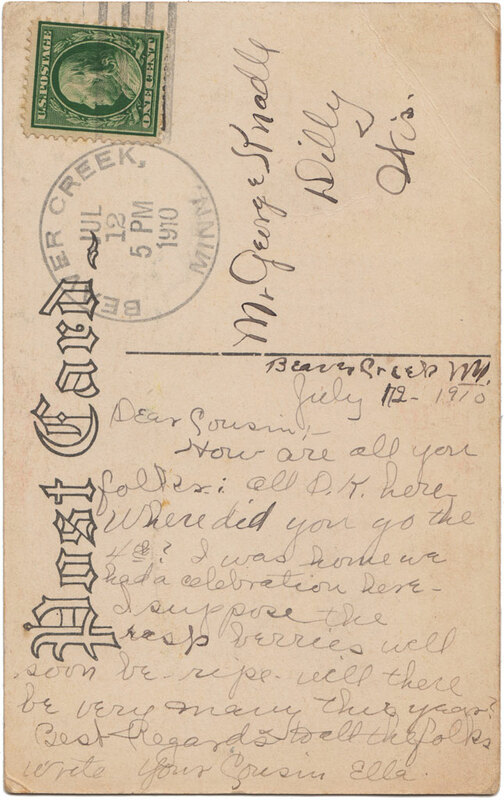 BEAVER CREEK, JUL 12, 5 PM, 1910 MINN.
Mr. George Knadle, Dilly Wis.